A few generations ago, most people knew how to sew. Now, sewing seems to be a dying art; if you are an accomplished seamstress, you may find your skills are in demand. If you enjoy sewing and are looking for an additional source of income, sewing for profit may be a good path for you. 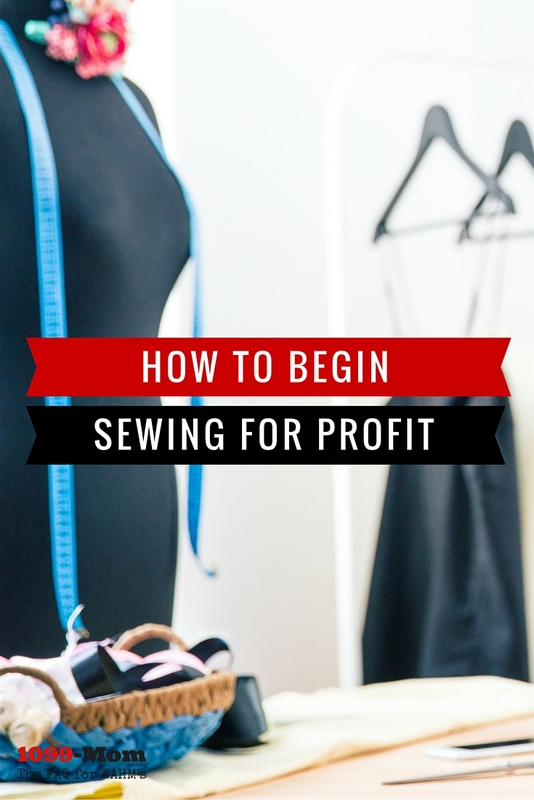 There are many avenues to sewing for profit. Will you be a seamstress who creates unique, boutique children’s dresses? Or, would you prefer to alter people’s clothing? How about sewing craft items and home decorations such as placemats and table cloths or curtains? Could you create adorable homemade cloth diapers and sell them for less than the larger companies? There are so many things you could sew and create; determine both what interests you and what is profitable. Ideally, you will choose a specialty where there is not much competition in your area. If you do have competition, perhaps you could offer a unique twist. For instance, if you alter people’s clothing, perhaps you could offer a convenient pick up service where you pick up the garments for clients rather than have them drop them off to you. There are plenty of avenues for selling your sewing services. If you create custom little girl’s dresses, will you sell them online through your own website or a site like Etsy, at craft shows, or both? Will you take custom orders? To make sure you are making a fair hourly wage, especially in the beginning, take the time to record how much time you work and how much that equates to per hour. This will help you determine your rates going forward. Keep track of your records. Just as any business must, so too should you keep detailed accounting records of your business. A good seamstress is hard to find, but there is demand for homemade items, especially crafts, clothing and cloth diapers. As the economy rebounds and more people have some disposable income, your business should increase. Word-of-mouth referrals will also help. Sewing from home for profit is a great way to become a 1099 mom. What other tips would you add for someone looking to sew for profit?